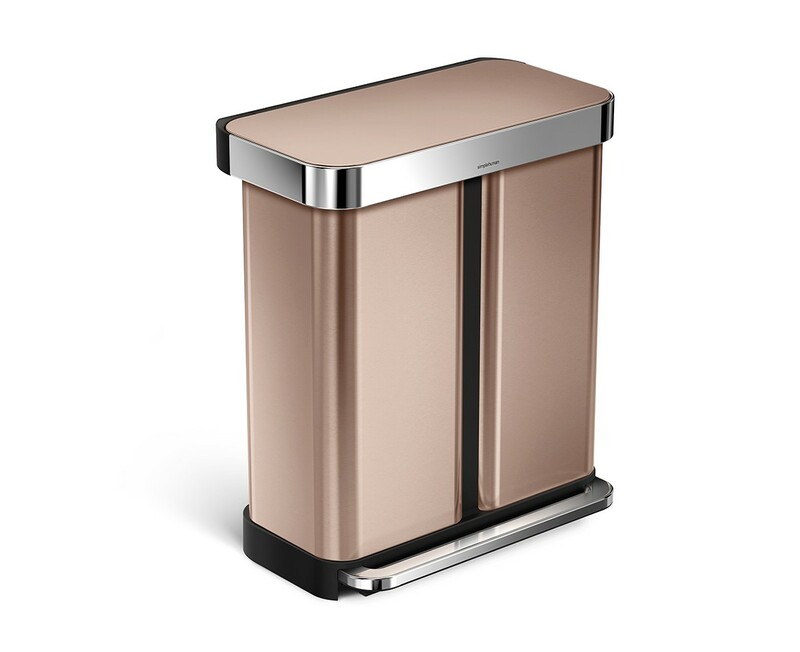 Our dual compartment rose gold steel rectangular step can makes it easy to neatly sort your trash and recyclables in one convenient, space-efficient space. On one side, it features an innovative 'liner pocket' that stores and dispenses liners from inside the can for a faster liner change. 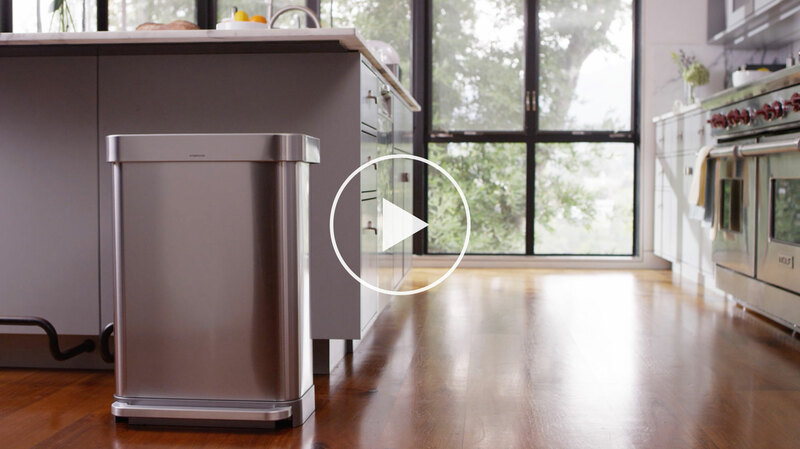 The other side has a convenient handled bucket for easy lifting and disposal of all your recyclables. The stainless steel liner rim grips the liner and keeps it hidden. A strong wide steel pedal is designed to last, and our patented lid shox technology ensures a smooth, silent close every time. Code H liner refill packs store perfectly in this can's liner pocket. Code H liners are designed to fit this can perfectly and are extra strong to prevent leaks and tears. Brilliant Product, with a lovely stylish finish. I love my new bin! But I love the customer service team at simple human even more! I had a slight defect on delivery that was immediately replaced without any fuss. They really exceeded my expectations. The bin itself is sturdy, has a great finish and functions well. I look forward to a 3 compartment model so waste , plastic and cardboard can be segregated. I hardly ever right reviews, but made an exception for this bin! I know, it’s only a bin, but I bought in a black friday sale as I couldnt afford it at full price. And am so pleased. Yes, its expensive for a bin but omg its so neat, surprisingly capacious and simply looks brill in my kitchen. Years of bags, ugly bin liners n ugly bins for me no more!